The Impatient Crafter : iLoveToCreate Retrofabulous Crafts: Sparkletastic Easter Earrings! 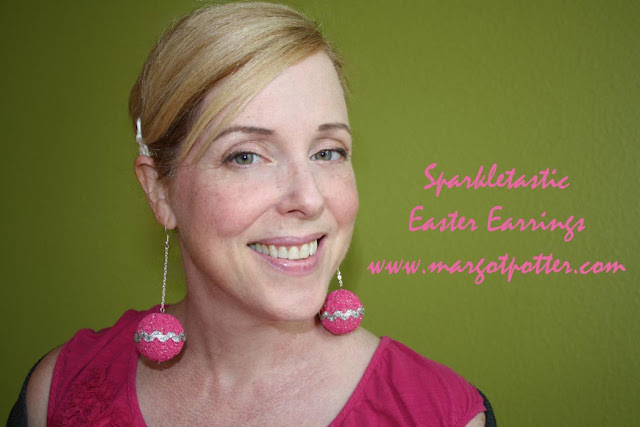 iLoveToCreate Retrofabulous Crafts: Sparkletastic Easter Earrings! 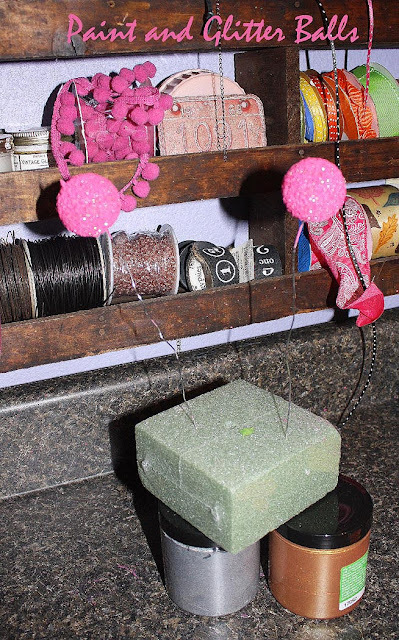 I have been toying with making a pair of sparkly Styrofoam earbobs for a while now. 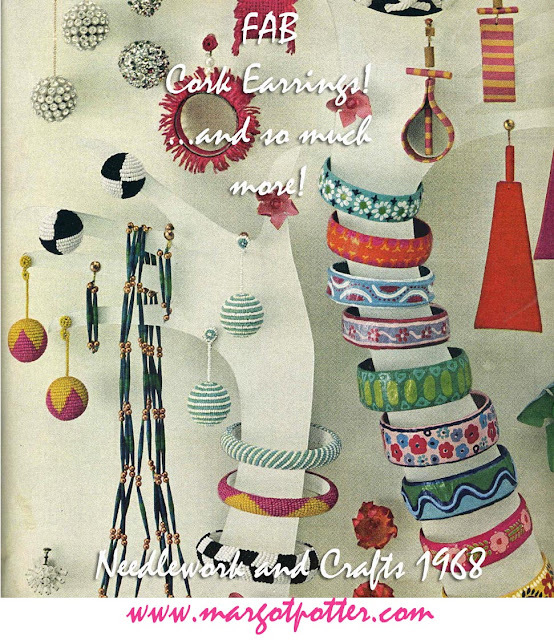 There are endless variations on this idea in my stash of vintage craft magazines. They’re also made of cork and wood...I’ve even seen these made of crumpled aluminum foil. 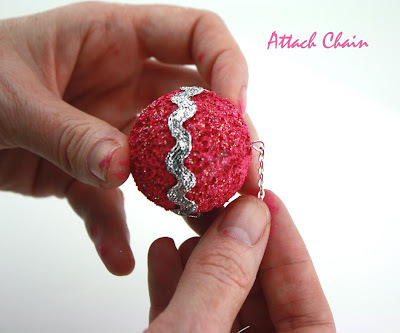 The idea is to suspend a round ball on a thin chain for a pair of swingy earrings. Remember that these are styrofoam, so they weigh almost nothing, but if you like a more delicate silhouette, feel free to use smaller balls. I like my jewelry big and bold. 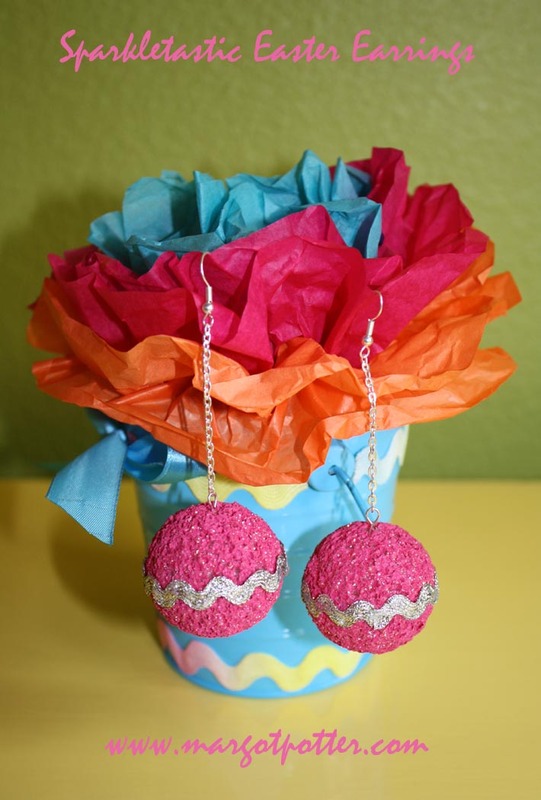 These would be perfect for a teacher, young mom or if you’re feeling cheeky, to sport to the family Easter dinner. I’d make a matching necklace and wear this out and about just for fun, but I’m not afraid to be noticed. 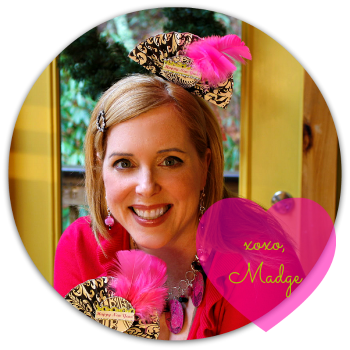 Take this idea wherever you like, add sequins, seed beads, rhinestones. A splash of glitter gives it a little sparkle and the sparkly rick rack trim immediately evokes Easter eggs. I’m of the mind that life is short, so have a little fun now and then. 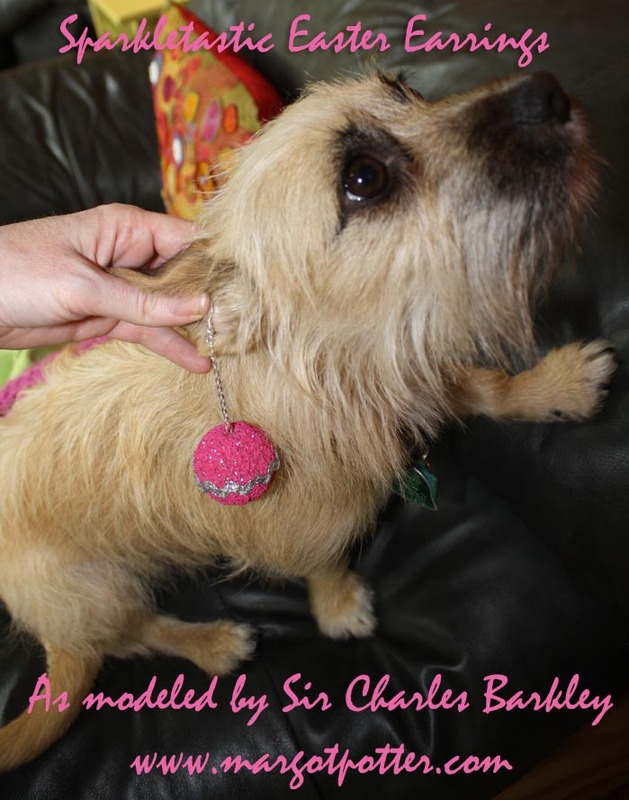 What could be more fun than pink sparkly Styrofoam earbobs?! 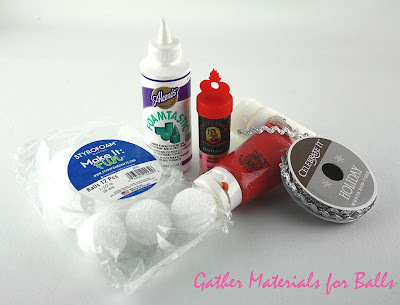 Insert a 5-6” segment of craft wire into each Styrofoam ball. Mix red and white paints to make hot pink. 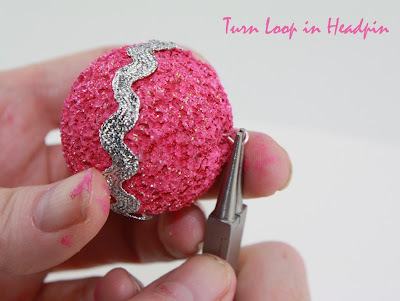 Use a foam brush to pounce pink paint on surface of ball. Sprinkle glitter on ball and shake off excess. You will probably have to go back in for a second coat to hit any spots that aren’t fully covered, if you repaint make sure to re-glitter. Allow to dry, inserting wire into Styrofoam block. Keep ball on wire. Run a bead of Aleene’s Foamtastic glue along rick rack trim. Wrap trim around center of ball. Insert back into block and allow to dry. Adorable earrings! I could see adding sequins to them, too. Or sequin trim. Charlie is a world class snuggler, so is his BFF Miss Cricket Bug. I may take you up on that some time! HA! Loved Mike Douglas and Merv Griffin! Flashbulb earrings sound awesome! Bold and confident indeed. Those balls are lovely. They can make any neck look elegant!